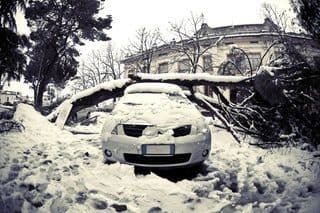 Severe winter weather conditions can cause mishaps while you're on the road, and once you’re over the initial drama, the next thing you may be wondering is: will my car insurance cover me? Here we explain the role car insurance plays in covering common road incidents during snowy, windy and icy weather. In most cases, optional collision coverage will repair any damages to your car coming from a weather-related accident. Your liability coverage would pay for damage you cause to other cars. Comprehensive insurance, which is also optional, pays to repair your car if it's damaged by hail, falling icicles or a snow-heavy branches. Both coverages pay out up to the actual cash value of your car, after your deductible. 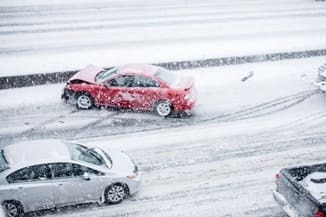 "If you're behind the wheel during a snowstorm and slide on ice and crash, then it would be a collision claim for your car's damages," explains Penny Gusner, consumer analyst for CarInsurance.com. 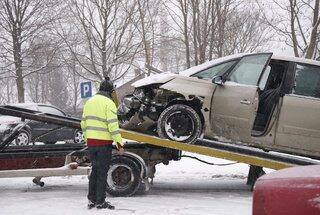 "Collision covers your vehicle, minus your deductible, when it hits, or is hit by, another vehicle or object. But if a storm causes a monster icicle to fall on your car, smashing the windshield, then comprehensive would cover the damage, again minus your deductible." These optional coverages are fairly affordable. The average yearly cost for collision is $297; for comprehensive, it’s $139, according to the Insurance Information Institute (III). 1. You had to abandon your car and it was hit or vandalized. 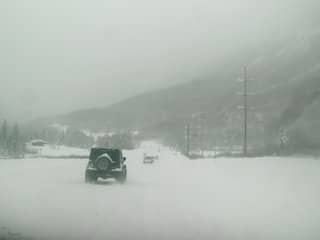 Weather conditions may be so treacherous that you have to abandon your car. If you return to find your car has been sideswiped, and the offender didn’t leave any contact information, you’d file a collision claim to pay for damages. If you do have the other driver’s contact information, his or her liability coverage would kick in to pay for repairs. What if the vehicle is vandalized after you've abandoned it? Comprehensive coverage, which covers losses from theft and vandalism as well as natural disasters, would protect you. If you have optional roadside assistance coverage as part of your policy, consider calling it in before leaving your vehicle. The costs of getting it home or to a safe place off the road would likely be covered. Also, such help is offered through AAA and similar programs. Lexus, Acura and other car-makers also provide emergency service as part of their new car warranty packages. 2. You hit a pothole. 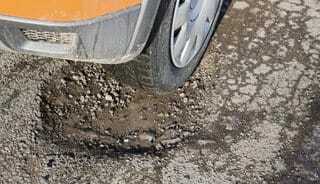 Potholes, which often pock-mark roads during storms, can cause damage to your car's suspension, steering and tires. Collision insurance covers damages from a vehicle's impact with an object, like a pothole, or from flipping over. But the Insurance Information Institute (III) recommends getting an estimate for any repair costs before filing a claim. You may not want to file a claim if the costs are less than your collision deductible or close to it. A State Farm study shows that vehicle repairs from damage caused by a pothole can cost drivers, on average, anywhere from $300 to $700. If your deductible is $500 or more, it might not make sense to file a claim. 3. You slid down an icy hill and hit parked cars along the way. Wondering what to do after an accident? Leave contact information for the owners of the parked cars. "Leave notes on their cars with your insurance information and and then get their license plate numbers," says Gusner. Collision coverage would pay for damages to your car, while your liability car insurance would pay for any damages to the other cars. Collision insurance would also pay for damage if the situation was reversed and someone hit your parked car, but did not leave information, says Gusner. If the other driver is later identified but does not have insurance, uninsured motorist property damage (UMPD) coverage would also apply to your damaged car, if you have it. However, UMPD, which is optional in all but seven states, isn't offered by all insurers. 4. You got towed after leaving your car parked when a blizzard hit. Gusner says you're out of luck if the vehicle was parked illegally when towed by parking enforcement -- car insurance will not help with the costs. 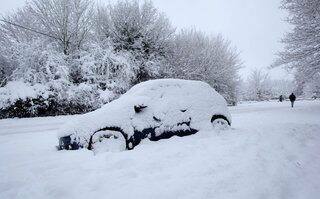 However, some cities have waived citations and towing costs when cars had to be towed during extreme weather. Of course, if your car needs to be towed and your insurance includes roadside-assistance (again, check with your insurer), then use that to move the vehicle before parking enforcement tows it and charges you later. 5. You caused an accident by swerving on black ice or snow, and want to know if your insurance rate will increase. One at-fault accident could raise your rates anywhere from 10 percent to 40 percent -- or not at all, says Gusner. On average, one at-fault accident costs drivers an extra $340 a year, according to a CarInsurance.com analysis of rates. In some cases, say you’ve been accident-free for several years, car insurance companies will overlook one minor accident. However, if you were getting a safe driver discount, you would lose it. 6. You got in an accident because you only cleared a small portion of ice off your windshield and had limited visibility, and police are responding to injury-only crashes due to so many storm-related calls. Exchange information with the other driver or drivers and then file an accident report with police as soon as possible, says III. Some law enforcement agencies require you to complete forms in person, while others let you do it online. Your insurer will ask whether you filed an accident report when filing an accident claim. 7. Your car was stolen when you left it running to warm up. 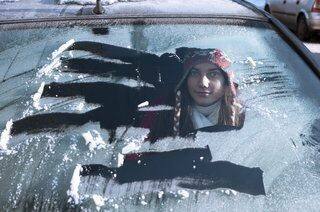 You don't want to make your car tempting to thieves, even if it's really, really cold outside. But if you do, your comprehensive coverage would typically cover the loss, but not always. "Negligence like this is normally covered," says Gusner,"but some policies exclude coverage if your keys were left in the car." 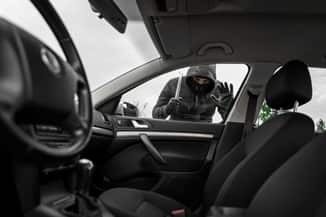 Besides giving car crooks a helping hand, be aware that leaving a car running unattended is illegal in some cities and towns. You could be hit with a fine. Leaving cars running with the keys inside is a growing problem, according to the most current data from the National Insurance Crime Bureau (NICB). There were 57,096 such thefts in 2015, a 22 percent increase over the previous year. Also, beware that thieves don't take holidays off. Though Halloween ranked highest for cars stolen on a holiday, New Year's day and eve are in the top five of the list compiled by the NICB. 8. You drove during a state of emergency and got into an accident. It may not be smart to drive during dangerous weather or other difficult conditions, but your collision, liability and other insurance protection remains in effect. Your insurance normally covers accidents due to driver's negligence, whether it's running a red light or driving during a blinding blizzard. 9. Strong winds and heavy snow caused a tree to fall on your car. Comprehensive will cover damage to your car if a tree or other object falls on it. But, again, you'll have to pay a deductible. Though you have to pay a deductible, your car insurance rates usually don't increase after a comprehensive claim. 10. 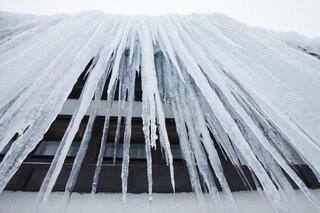 Huge icicles fell on your car and caused lots of damage. Again, optional comprehensive comes into play if falling ice harms your vehicle. Though you have to pay a deductible, your car insurance rates usually don't increase after a comprehensive claim. What does a hit-and-run police report have in it? 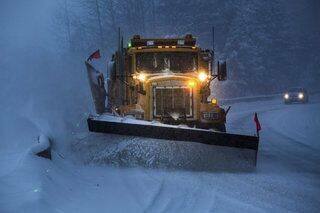 0 Responses to "10 winter driving hazards and your car insurance"